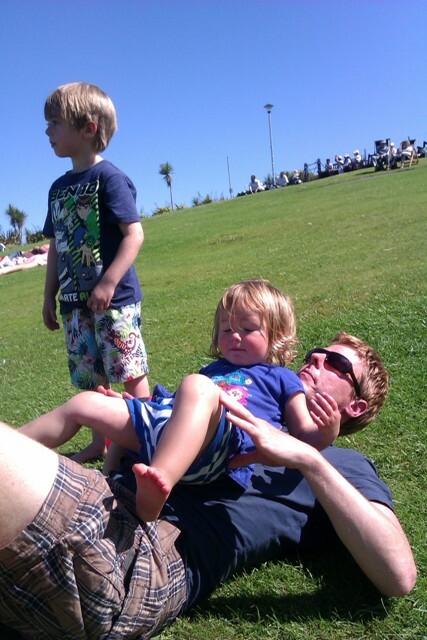 The sun is shining on us in Eastbourne – Blog-tastic awards! I’m in particularly buoyant mood this morning and for a change it has nothing to do with three espressos and a pain au chocolat over the course of the last two hours. It is 25 degrees and cloudless again today and as I look out of the french doors into the garden the leaves on the trees are barely swaying which is a sure giveaway that the sea will be flat calm and crystal blue. I have precisely 23 minutes to write this since our eldest Raffy will shortly be back from nursery and be demanding the swim that I promised him last night. No longer content with pebble-throwing and a thigh-deep paddle, oh no! Today he wants the works, a swim off Eastbourne beach to the buoy; for which read a throttled father, struggling to keep his head above water whilst son sits astride his neck, making appropriate pirate-like noises as he scans the horizon for boats to raid. But my skinny ginger legs will be fueled by the happy memory of the successful kayak fishing trip yesterday off Beachy Head, with bass, pollack and mackerel all coming on-board. Perhaps the full wetsuit i wore was over-cooking it a little since I seem to have lost about a stone and a half of water. Par-baked and bright red. You get the picture. But there was no way I was going to hang around too long, cooling myself after unwrapping the wetsuit on the beach at Falling Sands below Beachy Head. Turns out it’s a favourite naturist hangout, a mecca for all things un-clad. Yikes! 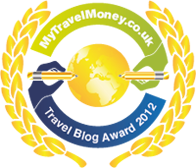 I’m also on a high after having this blog selected as a finalist for MyTravelMoney.co.uk’s Top 10 lifestyle blogs – you can check out the details here. It was all the sweeter as we had no idea we were even in the mix! Blimey, the doorbell has chimed, the children are back from nursery and, judging by the noise, ready for action. Better get sun-lotioned-up and primed for the dip. Availability here at the guest house is not surprising a bit tight given the weather but we do have the odd space from Friday onwards so always worth giving us a call on 01323 722774. We also have a few swanky apartments and a country house with swimming pool that might just tickle your fancy for a self catering break on the south coast – check out Exclusively Eastbourne Holiday Homes for more details or give us a call on the number above.